Gives players a fuller, fatter sound at any venue. The Regal Tip XL brush is a fixed-spread, wire brush with a thick American hickory wood handle with the famous Regal Tip finish. The extra wide and longer handle is great for back-sticking. 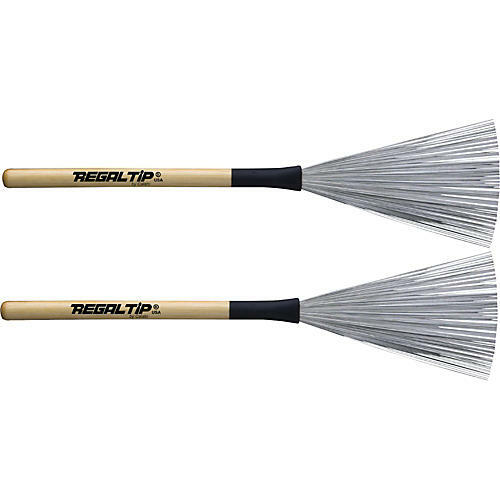 Regal tip brushes with versatile wood handles. Order today.